Obituary for Dr. Manuel C. Vallejo | Sollon Funeral and Cremation Services, Ltd.
Dr. Manuel C. Vallejo, 87, of Canonsburg, died Friday, March 22, 2019 in Canonsburg General Hospital. 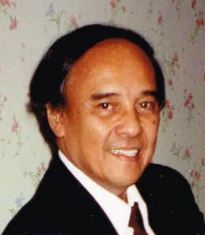 He was born March 12, 1932, in the Philippines, a son of Juan and Felicidad Curamen Vallejo. For many years until his retirement, Dr. Vallejo worked as a general surgeon at Canonsburg General Hospital and was well liked by all his patients. He was a member of St. Patrick Roman Catholic Church. He enjoyed planting, gardening, playing the piano and guitar, and singing. On March 5, 1976, he married his wife, Thomasina Ogrodowski Vallejo, who survives. Also surviving are his sons, Dr. Manuel C. (Susan Elizabeth) Vallejo, Jr., of Wexford; Rodrigo W. Vallejo of Florida; and Luis M. Vallejo, of Washington; his brother, Dr. Arthuro Vallejo, of the Philippines; his sisters, Felicidad Ventura of San Diego, California, and Mercidita Estimmore, of Arizona; six grandchildren, Alexander (Catherine) Vallejo, Anna Vallejo, Haley (Zachary Bair) Vallejo, Desiree (Alex Uveges) Belleno, Mariah Johnson, Antonio Vallejo; great grandson, Rory Uveges; several nieces and nephews. In addition to his parents, he was preceded in death by his sisters, Salud Mendoza, Therisita Edmao, and Pilar Azcona. There will be no public visitation. Friends and family are welcome to celebrate a Mass of Christian burial, Monday, March 25, at 10am, in St. Patrick Church, Canonsburg, followed by burial in Forest Lawn Gardens, McMurray. Please meet at St. Patrick Church, on Monday. 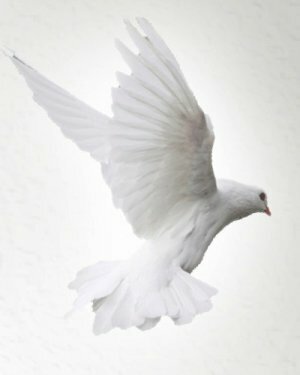 Arrangements entrusted to Sollon Funeral and Cremation Services, LTD, 30 East College Street, Canonsburg, Phillip L. Sollon, supervisor, J. David Sollon, director, 724-746-1000.